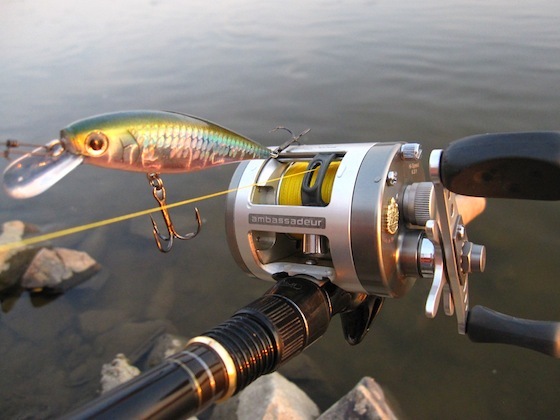 In the past years tuning and customizing reels got a voice of it's own, and starts to change the face of fishing. Faster bearings, lighter and lighter spools, more performant braking systems, out of this world handles, full bearing supported knobs, and lots more can make a reel more than you bargained for. But the question is: " Is it all worth it? Are there tangible results? Or is it just playing tricks on us?" We are trying to find some of the answers in the next test. 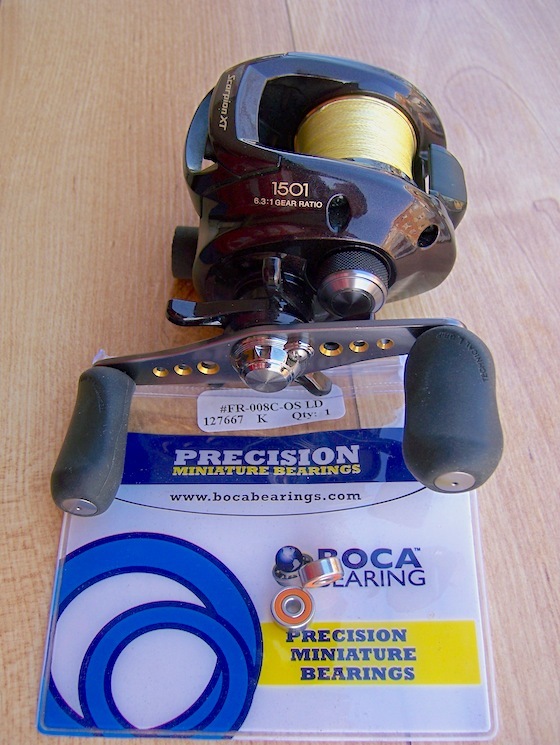 We have chosen 2 reels for the test to see if Boca Bearings really make a difference: an old and famous reel, Abu Morrum 3601 Mag, and a new Shimano model, Scorpion 1501XT. 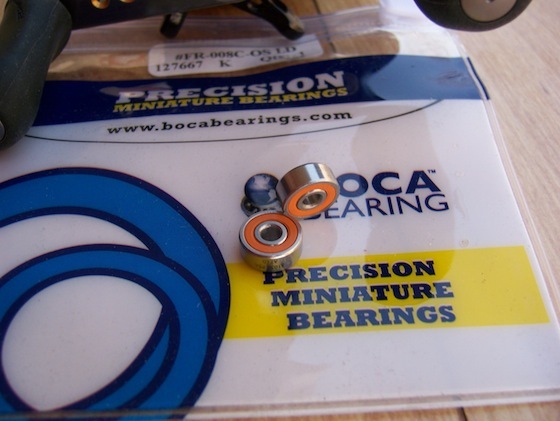 We tested their performance with their factory bearings, and afterwards, did the same tests with Boca Bearings ABEC 7 Orange seals, throwing 5.5g (3/16 oz), 10g (3/8 oz) and 15g (about 1/2 oz) weights. How noticeable is the difference in casting distance? Is there any difference, or it only makes the reel feel smoother? I guess we'll just have to find out, won't we? Considering we'll do the testing only for a few hours, we decided to leave the bearings dry… We've tested them afterwards, oiled, and actually didn't feel the difference (using Friction Zero ZPI oil or High Speed Oil from Boca). 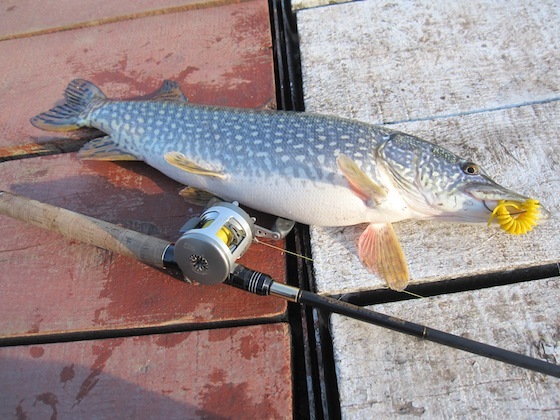 The rod used for the test is a custom St.Croix SC5 5S68MXF, 6'8", 6-14 lbs, 3/16 – 5/8 oz, ex-fast action, medium power. 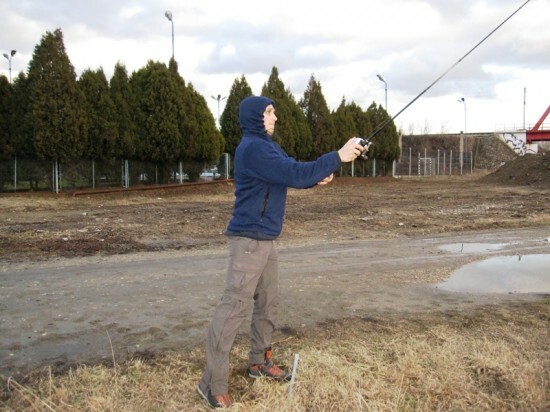 Not the best casting rod, but it was the one that loaded the best with all the weights used in the test. In order to draw a conclusion, we did a few accommodation casts with each of the weights, and afterwards did 5 more that were accounted for. In the end, we calculated the arithmetic average of the 5 distances measured. Avarage gain in performance (distance): 21,4 % with OSBB. With the manufacturer, original, bearings (almost 12 years old, since this Morrum was mada – according to its serial number) Razvan used to cast with the tension know completely untightened, and the magnetic brake set to 5, out of 10. After replacing the bearings with OSBB, he couldn't make one cast with those settings. He had to tighten the magnetic brake to the maximum, and make a few small adjustments with the tension knob to be able to cast them. The hybrid Boca's seem to spin darn fast. If it matters, with all the braking systems set to zero, the spool spinned 18seconds with the manufacturer, original bearings, and 50 seconds with the Boca Orange Seal's. Settings with the Scorpion 1501 XT, as well as with the Curado 51E are a breeze. In this case, in need of thumb control, for maximum distance, I only pulled out one of the centrifugal brake blocks. A few adjustments from the tension knob here and there, and off we go. Amongst the 2 reels, it's the most controllable, as easy as it is with the Curado 51E. With all the brake blocks deactivated, the spool spun 29 seconds with the manufacturer original bearings, and, in this case (the spool wasn't filled with line), with the Orange Seal Boca's it spun 1min and 15 sec. As you've seen the decade old ABU had poor performance with the original bearings, and excelled with the Boca bearings, the difference being the most noticeable. The gain in performance with the Scorpion is less evident, but if you come to think about it, with a 1/2 oz weight, there's a very visible difference in casting distance, even with this new generation reel, this distance will definitely improve your catching chances, especially on a clear water reservoir, where every foot counts, in this case instead of casting 160 ft (49m) you'll cast that necessary 33 ft. (9-10m) further, increasing your chances to catch that spooky fish. It's obvious Orange Seal Boca's are a gain in performance. Is it worth it? That's for everyone to decide.I've changed all my spool bearings to Boca's, if that's any consolation:) , and will continue to do so in the future with all my new reels. They are by far the cheapest quality upgrade, excepting the carbontex drag.